In December, thousands of Alaskans spoke up in opposition to the Pebble mine once again as part of a renewal of Pebble's exploration permit. Alaskans were given the opportunity to tell the state Department of Natural Resources directly that Pebble is already costing the state dearly, and the overwhelming message was clear: If we can't trust Pebble to responsibly explore and test in Bristol Bay, how can we trust them to actually mine? Due to the large volume of comments — many of which offered specific and concrete evidence of harm to the habitat around salmon streams — instead of simply renewing the permit without meaningful safeguards to protect our fish and wildlife the DNR for the first time opted to take an additional 90 days to more closely review the concerns raised by Alaskans. This is a good first step for all who support Bristol Bay and its fishery since DNR has historically approved permits with little hesitation or oversight. It is good to see Alaska's leaders sticking up for the best interests of Alaskans. For those of us who have been concerned about Pebble for years, here's what we want our leaders, from Juneau to Washington, D.C., to know and recognize. • The Pebble mine is an economic risk that the state and the people of Alaska do not want nor can afford. In whatever feasible shape it could take, the Pebble mine is the wrong mine in the wrong place with permanent costs that are too great for our region and state. Bristol Bay salmon support 14,000 jobs and a $1.5 billion-per-year economy. By taking care of the rivers and streams where these salmon lay their eggs, they will continue to support Alaska's commercial and sport fishing businesses, as well as the way of life for thousands of rural Alaskans for generations to come. Pebble's giant size, location at the headwaters of Bristol Bay's two main salmon rivers, and the fact that mine waste would have to be stored on-site forever raises serious red flags. It doesn't make economic sense to risk 14,000 existing long-term jobs for even a couple thousand temporary ones. 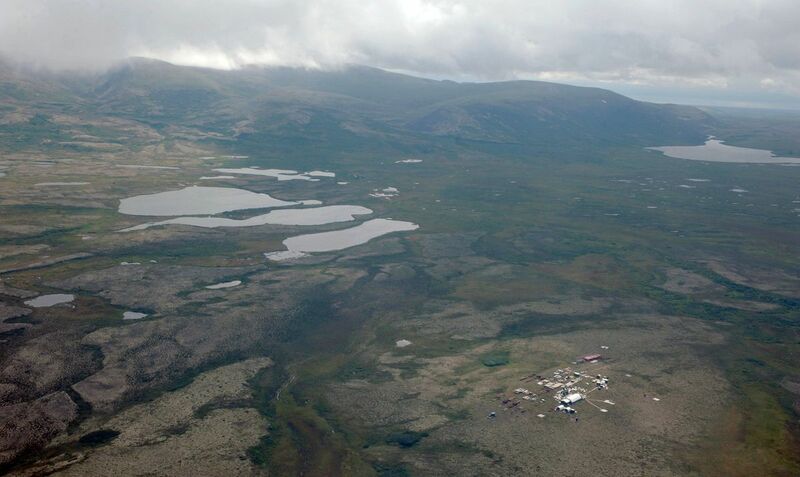 • Opposition to the proposed Pebble mine is driven by Alaskans; not outside interests. Alaska business owners, tribes, sportsmen and women, and commercial fishermen are standing up for their way of life and a uniquely Alaska and treasured resource. Our opposition won't wane with changes in the political tides. • Pebble has a reputation of breaking promises. For more than a decade, we've heard a foreign mining company with zero experience in actually developing a mine make false and unfulfilled promises. First, Pebble promised they'd be "good neighbors" and only pursue the mine if they had the support of local communities, yet they have failed to listen to Bristol Bay communities and businesses at every turn. Second, Pebble led a media campaign opposing proactive Bristol Bay protections because they "hadn't filed for permits," wanting us to believe they could alter their mine to be safe for salmon when they actually have quietly filed more than 1,000 pages of plans with state and federal regulators. Right now, nothing is stopping them applying for permits. In 2014, a majority of Alaskans in every voting district in the state — regardless of partisan preference — voted for additional protections for Bristol Bay. Additionally, after more than a million Americans and tens of thousands of Alaskans asked that the Clean Water Act be used to protect our jobs and salmon, Pebble sued the agency that listened to Alaskans and acted to protect Bristol Bay salmon, jobs and culture, and used intimidation and the threat of litigation to silence individual Alaskans that spoke out against the mine. So no, these are not good neighbors, and they do not have Alaskans' best interest at heart. Any new promises should fall on deaf ears, both in Alaska and in Washington, D.C.
After 10 years of listening and learning about the Pebble mine, a majority of Alaskans in a typically mining-friendly state continue to come to the same conclusion: The Pebble mine is too risky to our jobs and way of life and we will do whatever we can to stop it. With the recent changes in leadership at the state and federal level, our elected leaders must know and recognize that protecting Bristol Bay is a priority for a majority of Alaskans. It has never been more important for Alaskans to stand up for the responsible use of our renewable resources, and the jobs and economic support they bring our state. As Alaskans, we know that ensuring a great future for our state and country isn't relying on a decade's worth of broken promises from a foreign mining company. A great future will be built on supporting hard-working Alaskans who make their living from and live a life based on the wise use and enjoyment of our natural resources. We can keep America and Alaska great by protecting Bristol Bay for future generations. Brian Kraft is the owner of Alaska Sportsman's Lodge on the Kvichak River, Alaska Sportsman's Bear Trail Lodge on the Naknek River, Bristol Bay Lodge in the Wood-Tikchik State Park area, and Kodiak Sportsman's Lodge on Kodiak Island.